35 Amurath II was born at Radowce, Austria in 1907. 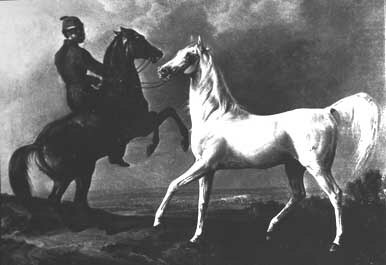 In 1918 he was imported to Poland, where he was chief stallion at Breniów Stud. 35 Amurath II's sire Amurath 1881 was born at Weil Stud, Germany in 1881. He was imported to Radowce, Austria, in 1895. 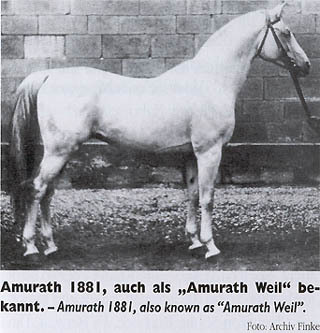 Amurath 1881, also going by the name of Amurath Weil, was a great sire of several chief stallions used in Germany, Russia, Czechoslovakia, Hungary and Yugoslavia. Poland imported three of his sons: Amurath I (1903), Amurath II (1907) and Amurath III (1910) and his grandson Nana Sahib I (1907). All succeded in breeding. 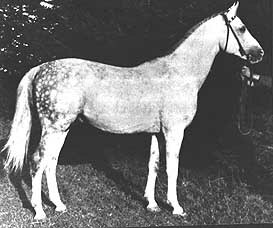 35 Amurath II's dam Fatme or.Ar., was born in the desert in 1899. She was purchased in 1908 for Radowce, by Rittmeister Wolf from an officer of the Syrian gendarmerie. She was sold in 1915. 35 Amurath II was the sire of the well-known major Polish breeding stallion Amurath Sahib (1932). Amurath Sahib sired celebrities such as Balalajka (1941), Amneris (1940), Estokada (1951), Darda (1950) and the stallions Gwarny (1953), Arax (1952), Gedymin (1946) and Equifor (1961). Imported to Weil in 1817.